These assemblies are non-stock and have an extra delivery time of 3-4 weeks. 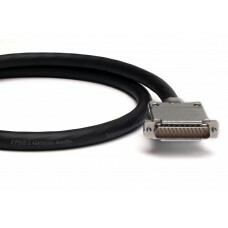 Contact us if you have got any questions or need information about other lengths or connectors. Grimm Audio TPR assembly 0.3 meters. Please choose your desired connectors. Image is fo..
Grimm Audio TPR assembly 1 meter. Please choose your desired connectors. Image is for i..
Grimm Audio TPR assembly 2 meters. Please choose your desired connectors. Image is for ..
Grimm Audio TPR assembly 3 meters. Please choose your desired connectors. Image is for ..
Grimm Audio TPR assembly 5 meters. Please choose your desired connectors. Image is for ..
Grimm Audio TPR assembly 10 meters. Please choose your desired connectors. Image is for..
Grimm Audio TPR8 assembly 1 meter for analog purpose. Please choose your desired connectors. ..
Grimm Audio TPR8 assembly 1.5 meter for analog purpose. Please choose your desired connectors. ..
Grimm Audio TPR8 assembly 2 meter for analog purpose. Please choose your desired connectors. ..
Grimm Audio TPR8 assembly 3 meter for analog purpose. Please choose your desired connectors. ..
Grimm Audio TPR8 assembly 5 meter for analog purpose. Please choose your desired connectors. If you..
Grimm Audio TPR8 assembly 1 meters for digital purpose. Please choose your desired connectors. ..
Grimm Audio TPR8 assembly 2 meters for digital purpose. Please choose your desired connectors. 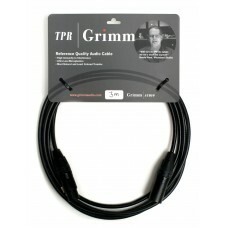 ..
Grimm Audio TPR8 assembly 3 meters for digital purpose. Please choose your desired connectors. ..